The invitations have just arrived. 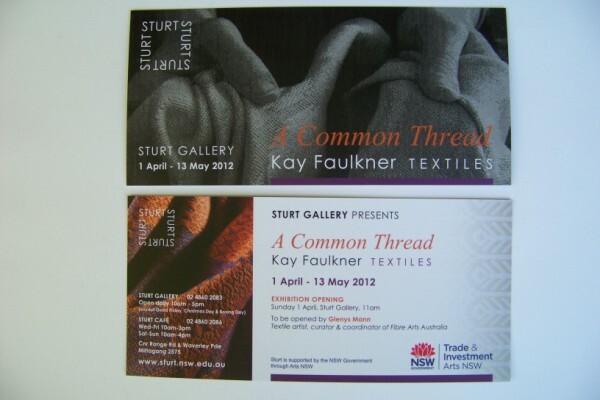 If you are in the area at anytime during the exhibition please call into Sturt. I will be around. Of course you are also invited to the Opening Event. This month I’ve been back in the studio. Inspiration for this month’s design has come from Italy. I visited there in 2010. 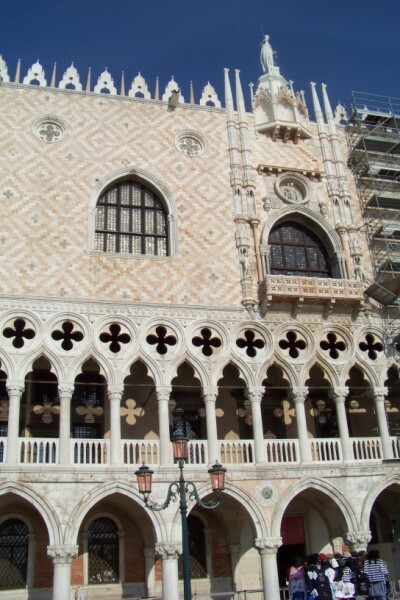 I had a very profound experience, standing in St Marks Square looking up at the Doge’s Palace. 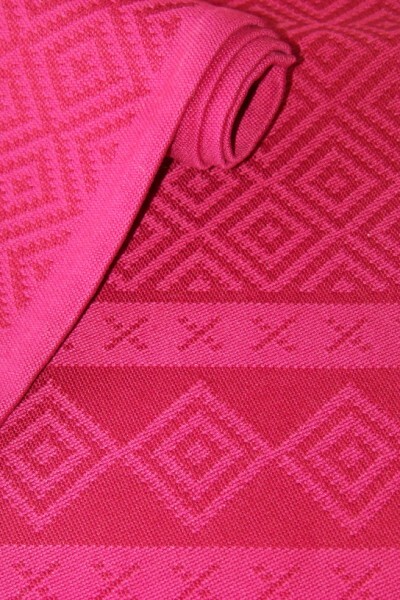 It was so reminiscent of a point twill weave pattern. In fact it is often credited as being reminiscent of textiles in numerous publications. For instance a Google search from Wikipedia quotes it a having a herring-bone-pattern paving. I also enjoyed the series of “floral” shadows thrown on the wall under the arches. I have used both motifs for inspiration. It is no wonder that I was going to visit Italy for inspiration at some stage. 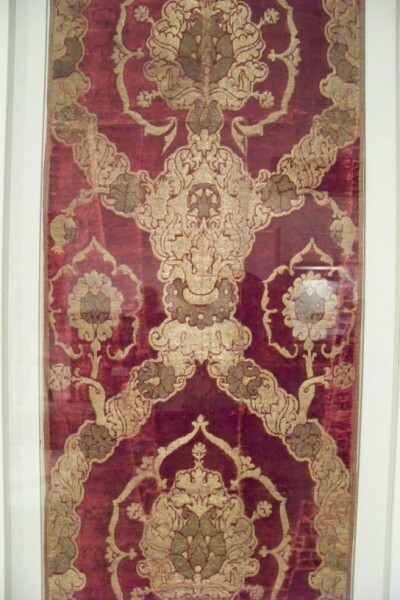 I have had a long fascination with Renaissance textiles: their luxury, their style, their complexity, their richness. Velvets of this era are magnificent and have been a long time focus for research. I am also fascinated by the history of that era and the role and importance of textiles. Textiles and the textile workers had a very significant standing in society. Laws governed their use. It was a golden age for textiles. I found this length of velvet in the MET in New York. I’ve shown a detail of the length. It was exhibited behind glass which has affected the quality of the image. This quote comes from the wall plaque: Sumptuous velvets were among the most highly prized luxury fabrics of the Renaissance. Woven in Spain and Italy – particularly at Florence, Venice and Genoa- they were exported throughout Europe and became an essential component of the visual “magnificence” with which the ruling elite were expected to demonstrate their wealth and power. While I have not chosen to weave velvet for this series, I have however used other aspects of Renaissance textiles balancing with the motif from the Doge’s Palace for inspiration: large scale pattern, metallic yarn (though not real gold or silver) and brocaded or inlaid pattern. What colour? Red and purple were chosen as they are the colours of royalty and the elite of the Renaissance. 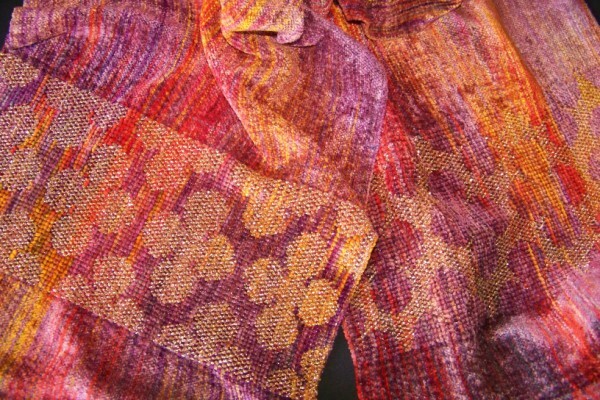 This shawl uses the motif of the decoration above the columns as a large scale pattern in 60/2 silk. When used without the circle it becomes reminescent of the shadows cast on the wall behind. 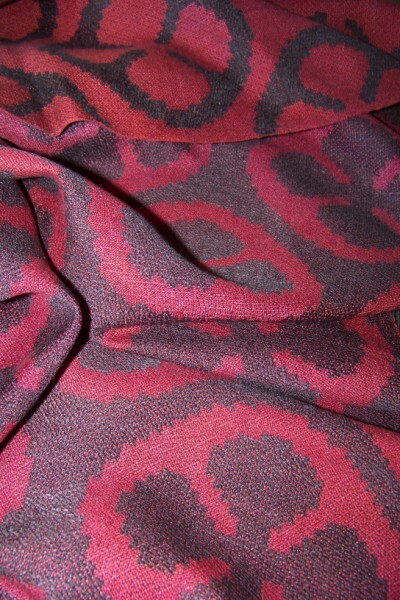 While I did not weave velvet, I did elect to use some chenille to give the feel and visual appearance of pile fabric. Variations of the brickwork pattern was used for the design of these table runners. 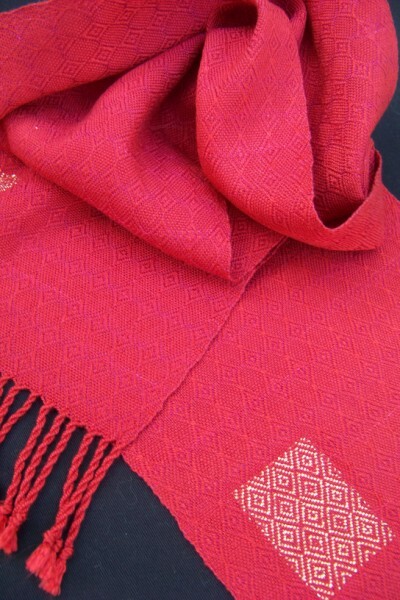 It’s red, silk, is based on the brickwork pattern and has metallic brocade. Several aspects of design criteria have been used. 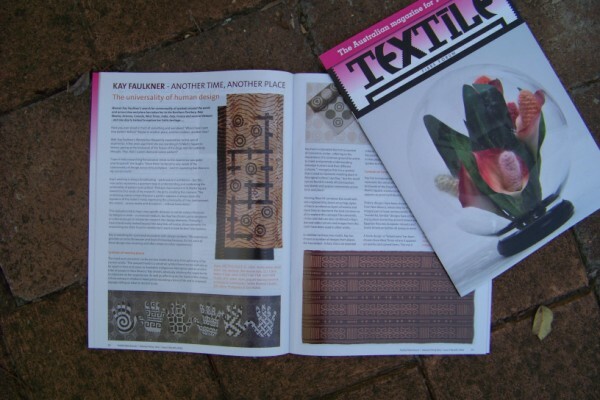 Check out the latest Textile Fibre Forum magazine. I have a three page article in there written by Myann Burrows on the work that I have been developing over the past few months and that has also appeared here on my blog. You are currently browsing the Kay Faulkner's Blog blog archives for March, 2012.